Another month, another Mixology Monday! Hosted by Wordsmithing Pantagruel, the theme this month is (It's Not Easy) Bein' Green. With that prompt, my thoughts quickly turned to Green Chartreuse. While it took me a while to warm up to herbal liqueurs, I'm rather fond of the way they can bring savory character to a cocktail. The first version of this drink is a simple variation on the Yellow Jacket cocktail, using Green Chartreuse instead of Yellow. I had the original at the Teardrop Lounge a few months back but found it a bit too sweet and the liqueurs completely dominating the tequila. While it's hard to resist their power, I found this version to be a bit more balanced. 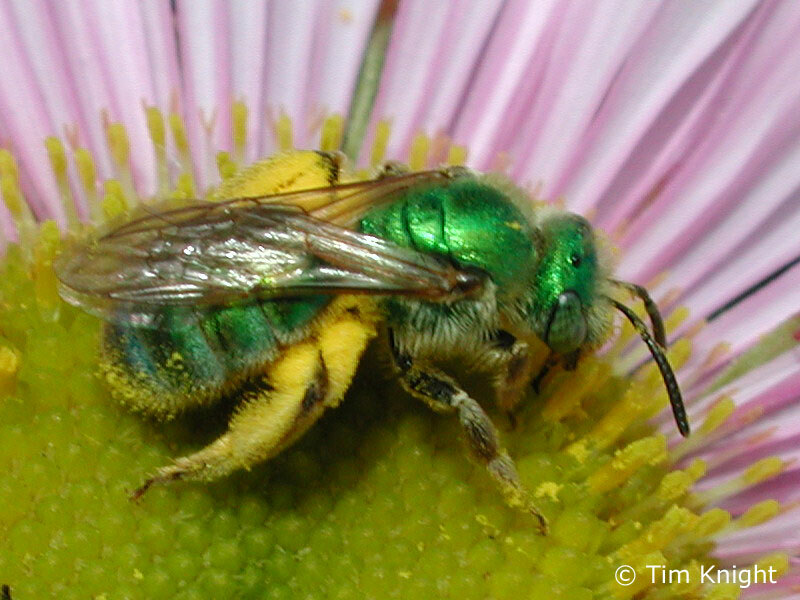 The name comes from a species of metallic green bees, which I just learned are a real thing. Combine all ingredients, stir with ice for 15 seconds, then strain into a chilled cocktail glass and garnish with a strip of lemon peel. The nose is dominated by the spicy herbal notes of Green Charteuse, though the floral grapefruit notes of St. Germain manage to get some attention. The sip is sweet, but not in a cloying fashion, with the sugar primarily giving the drink body. 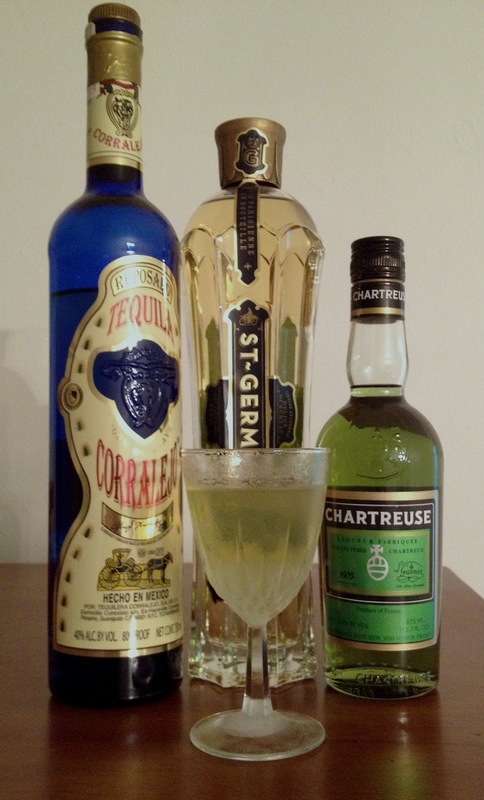 Once again, the Charteuse and St. Germain are front and center, but the tequila's agave notes make themselves known along with the other herbaceous/vegetal elements. Combine all ingredients, cool in the freezer, then add to a chilled cocktail glass and top with soda water. Stir briefly to combine everything. The nose is similar to the first version, though slightly muted in comparison. The sip is a bit more integrated, without so many standouts, as the acidity of the lime and soda water keep the liqueurs in check. Overall I would rate this is an excellent cooler, more mild than its pure spirits sibling. Thanks to Ed for hosting. I look forward to many MxMos to come!